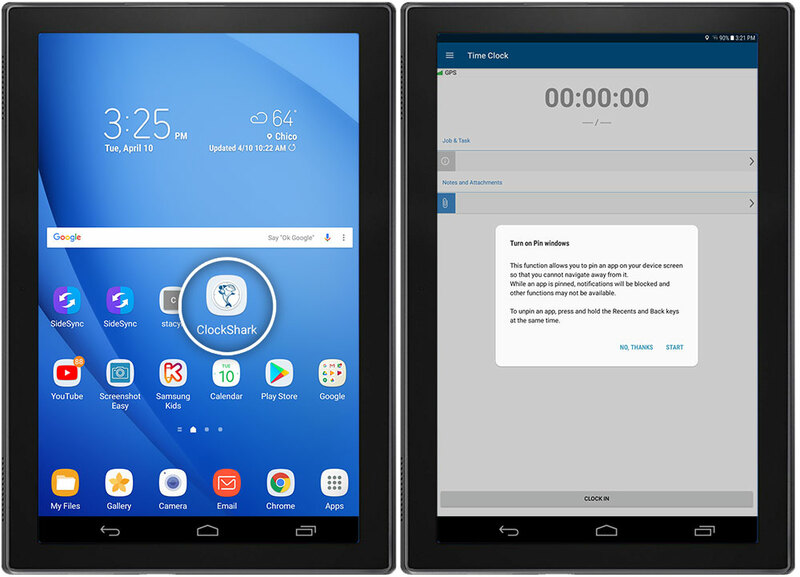 Using the Screen Pinning feature, you can lock your Android device to ClockShark's KioskClock™ to prevent distractions and protect privacy. By pinning the ClockShark app with KioskClock™ enabled, employees can focus on punching in/out, while administrators can rest easy that their company emails and Candy Crush high-scores are safely hidden from view. It also prevents anyone from accidentally pressing the home screen and leaving the ClockShark app. Open the ClockShark mobile app. Tap the Recent Apps button in the bottom left corner of the device. Confirm that you want to Start Pin Mode by pressing Start on the popup. Now that Screen Pinning is enabled for ClockShark, anyone attempting to leave the app by pressing the Home button will be asked to enter the Screen Pinning passcode. Without the passcode, the device will always open to the ClockShark app, even if the device falls asleep. Since the device is in KioskClock™ mode, users will also need an Administrator's PIN to navigate to any other part of the ClockShark app. It's all extra assurance that the attention of KioskClock™ users never wanders outside the ClockShark KioskClock™. Tap and hold both the Recent Apps and Back button simultaneously, until the device prompts you for your passcode. 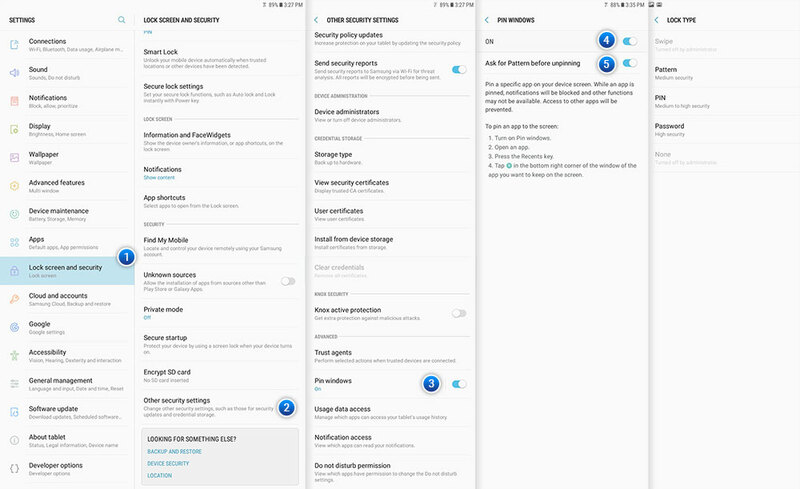 Enter your passcode to exit Screen Pinning mode and enjoy unrestricted access to your Android device. Remember: ClockShark's KioskClock™ is the ideal tool when you have multiple employees clocking in and out at one location. KioskClock™ transforms a tablet or smartphone into a time station where employees can clock and out, using an easy 4-digit PIN. Portable and powerful, KioskClock™ perfectly fits in at your job site, warehouse, or company office. You can read more here.